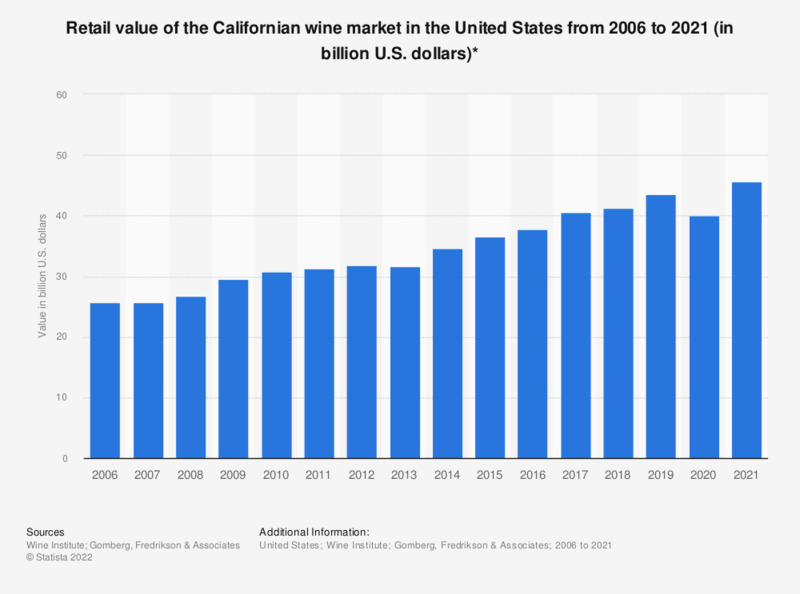 This statistic shows the retail value of the Californian wine market in the United States from 2006 to 2017, in billion U.S. dollars. In 2017, the Californian wine market was worth approximately 35.2 billion U.S. dollars. * Estimated retail value includes markups by wholesalers, retailers and restaurateurs.